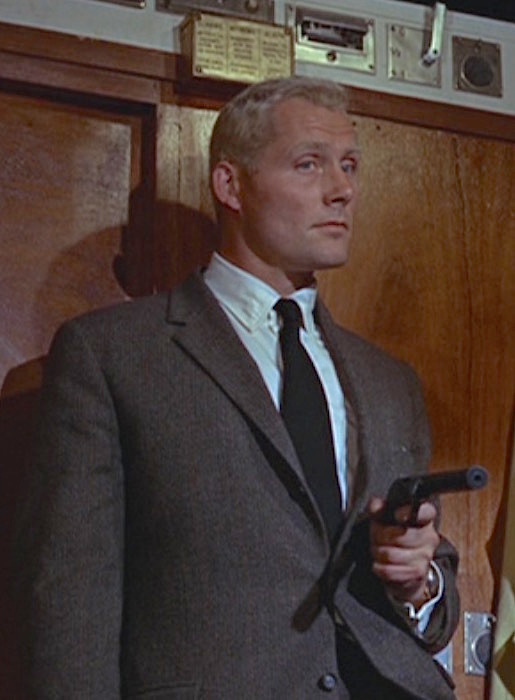 Robert Shaw set the Bond franchise standard as the dangerous Donald “Red” Grant in From Russia With Love, one of the most memorable antagonists in the series. 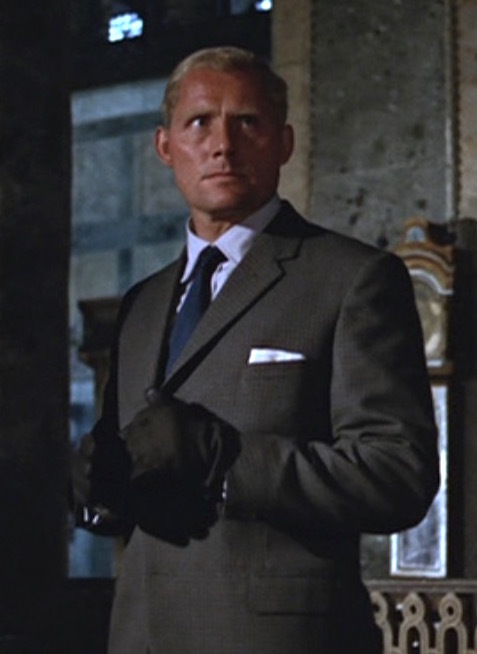 I’m honored to have been contributed to an article posted today at Iconic Alternatives, featuring my top five favorite outfits from the James Bond 007 series. 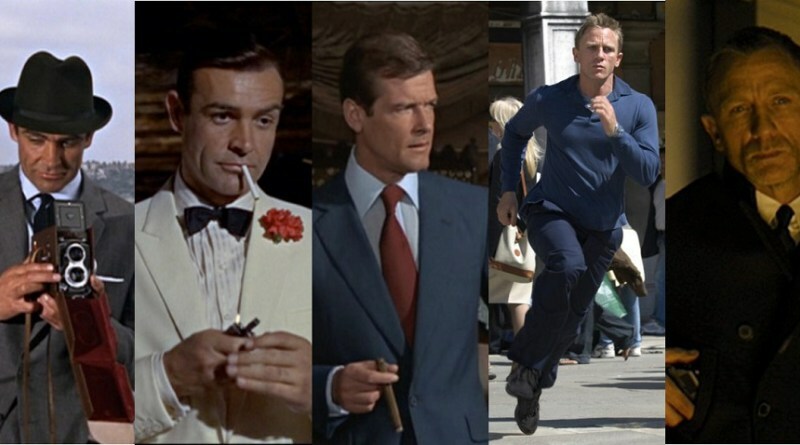 Iconic Alternatives did all the hard work of tracking down fashionable and affordable options of suits, formalwear, and casual wear worn by Sean Connery, Roger Moore, and Daniel Craig in From Russia With Love, Goldfinger, The Man with the Golden Gun, Casino Royale, and Skyfall. Check it out here if you want to find out my five favorite outfits from the Bond series and affordable alternatives as researched by the pros at Iconic Alternatives. The entire site is a great resource for tracking down individual items to help you dress like the world’s sharpest secret agent. Did I include any of your favorite James Bond outfits? Feel free to share your favorites or clothing that you’ve found on your own that reflects 007! 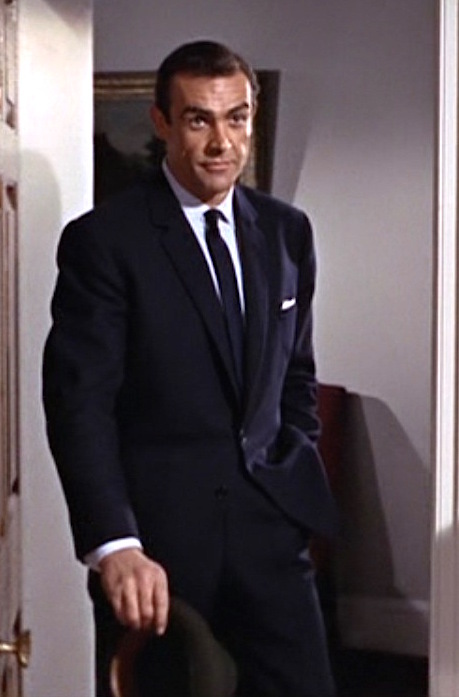 Sean Connery as James Bond in From Russia With Love (1963). 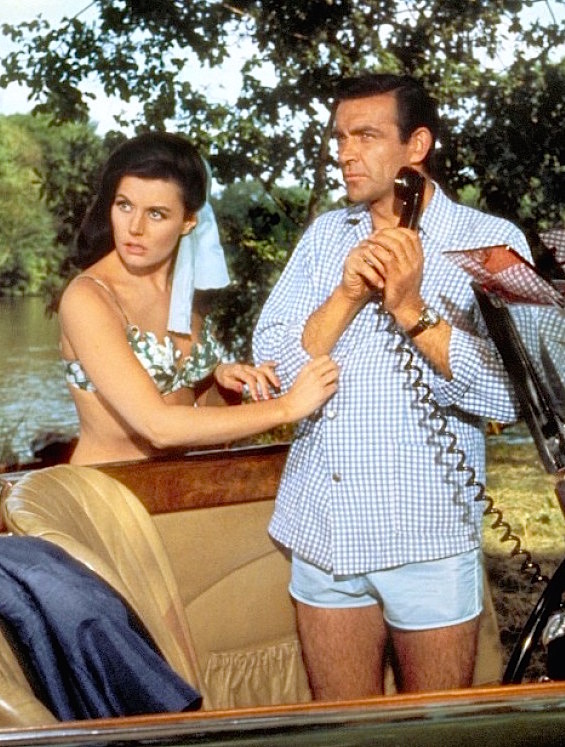 Eunice Gayson and Sean Connery as Sylvia Trench and James Bond, respectively, in From Russia With Love (1963). I’m spending this week with family for a beach vacation, so I wanted to take a look at what James Bond would wear for his own seaside holiday outing. The first appearance of 007 – the real 007 – in From Russia With Love finds Bond “reviewing an old case” in Berkshire in the form of Sylvia Trench, a casual fling that he first encountered while gambling at Le Cercle in Dr. No. Punting man: It’s great sport, this punting! Bond: (making out with Sylvia) I couldn’t agree with him more. Sylvia: I may even give up golf for it. Bond: Suppose when she meets me in the flesh, I don’t come up to expectations? 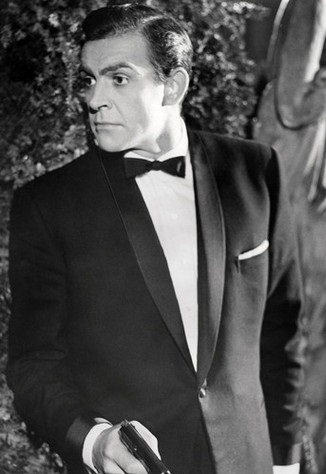 Sean Connery as James Bond (or is he?) in From Russia With Love (1963). Dressing up as James Bond for Halloween this year or just celebrating the new release of Spectre? 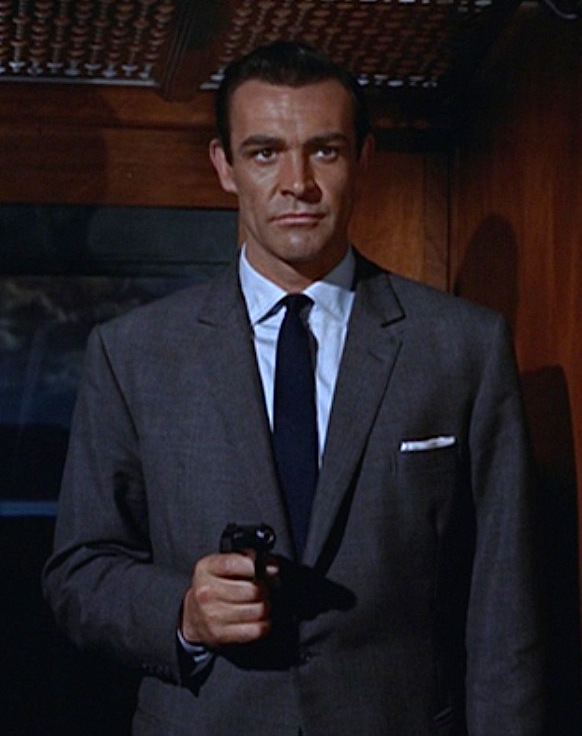 You’re certainly not the first to don a 007 costume; even within the series itself, an anonymous SPECTRE bait henchman sported a classic midnight blue tuxedo for his unnecessarily detailed Bond guise during the pre-credits sequence of From Russia With Love.